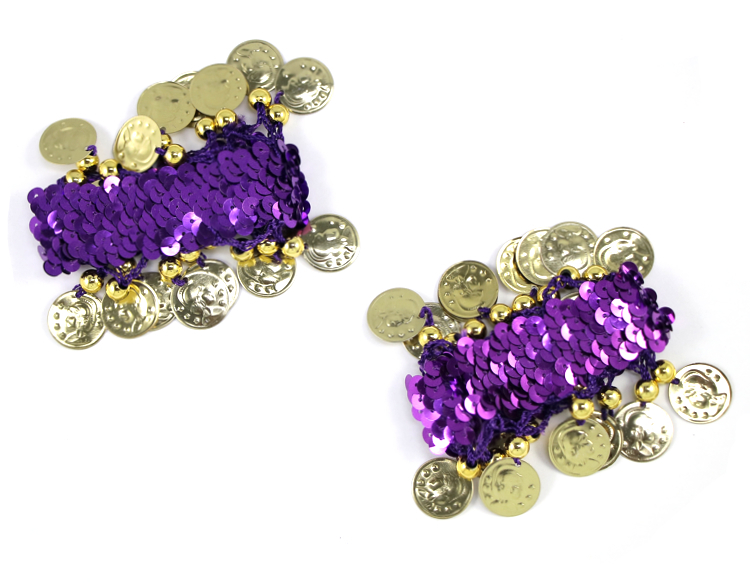 Sparkle and dazzle with these shiny sequin stretch bracelets with gold coins. Great for stage, parties, Halloween, and more! Sparkle and dazzle with these shiny sequin stretch bracelets with gold coins. Great for stage, parties, Halloween, and more! May also be worn as an anklet or an armband for little girls.